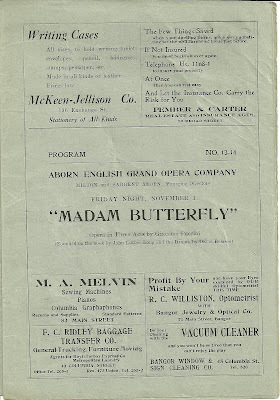 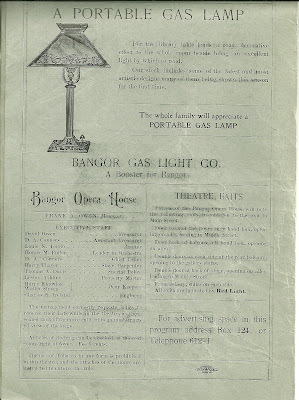 Heirlooms Reunited: 1912-1913 Bangor Opera House, Bangor, Maine; Frank A. Owen, Mgr. 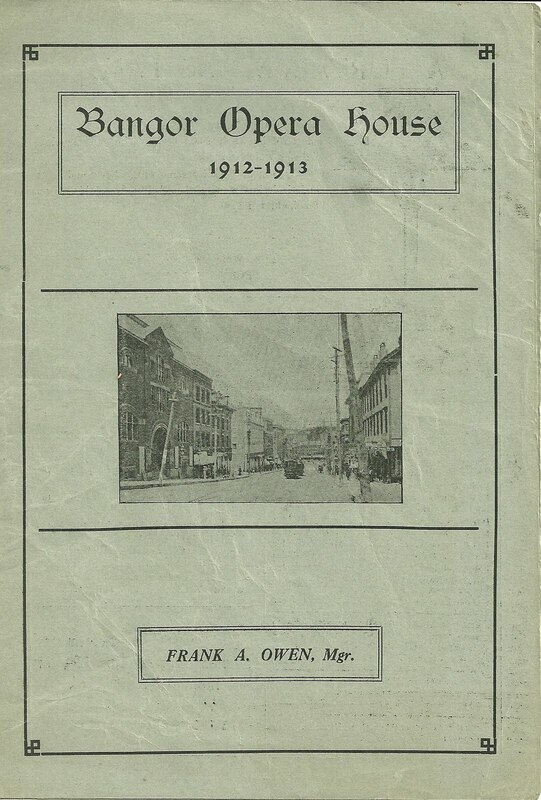 1912-1913 Bangor Opera House, Bangor, Maine; Frank A. Owen, Mgr. 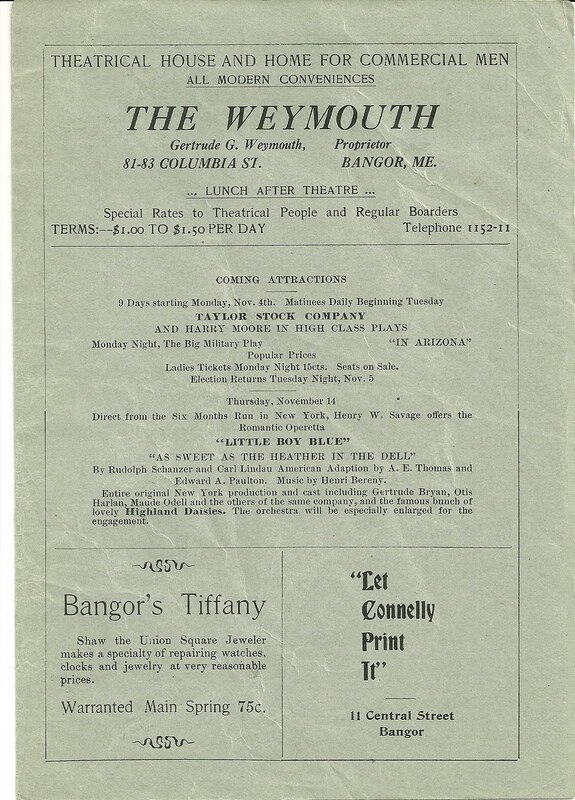 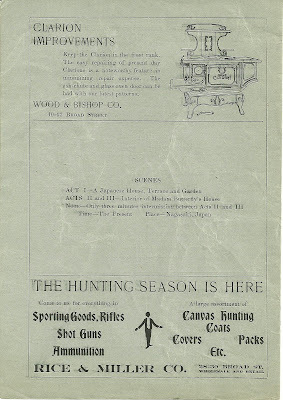 Brochure of The Bangor Opera house, located on Main Street in Bangor, Maine, and still in operation, as home of the Penobscot Theatre. 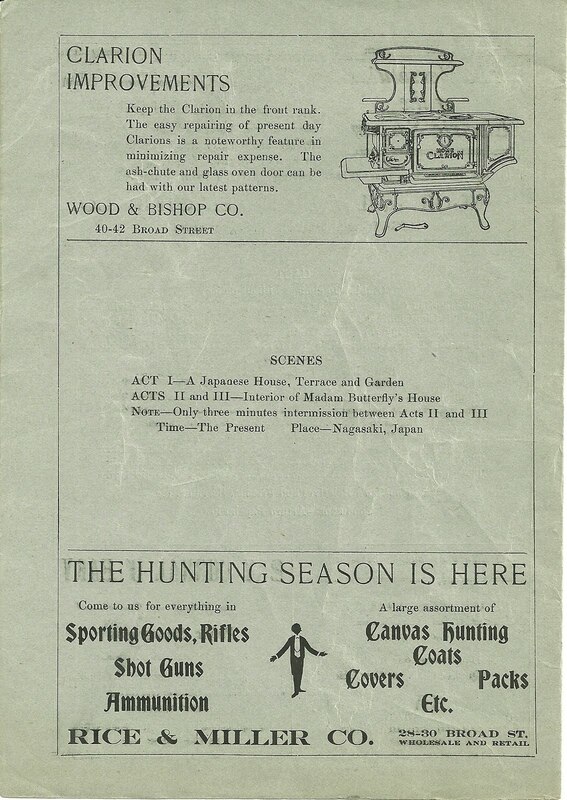 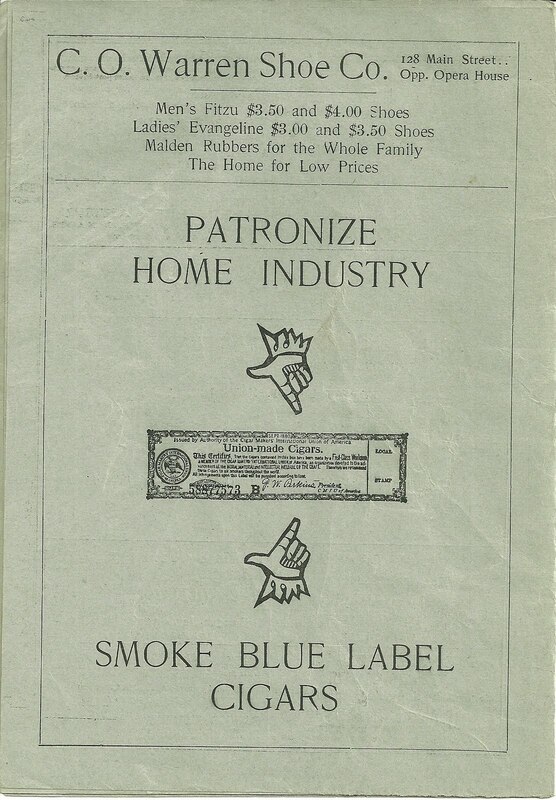 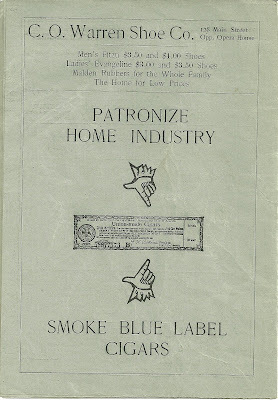 The brochure is composed of two 11-3/4" x 8-1/2" sheets, folded once. 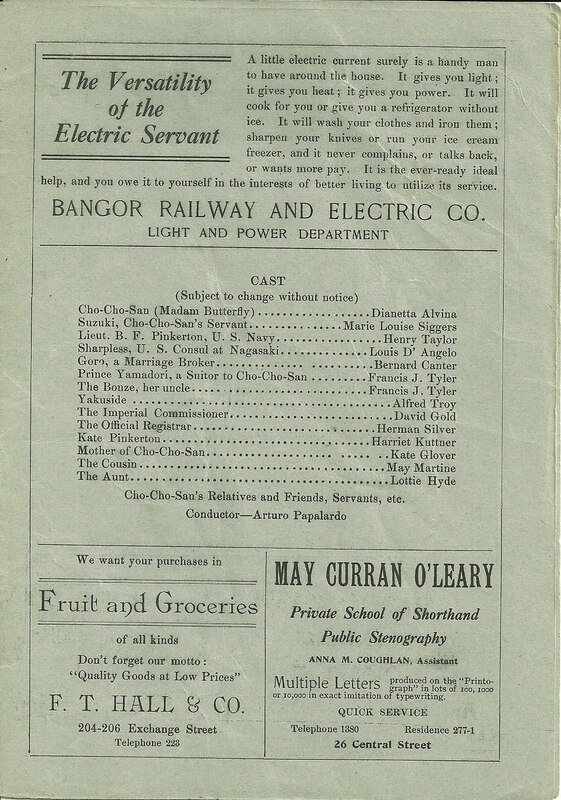 Bangor Railway and Electric Co.
Cho-Cho-San's Relatives and Friends, Servants, etc. 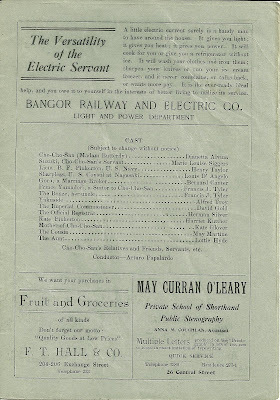 Election Returns Tuesday Night, Nov 5. 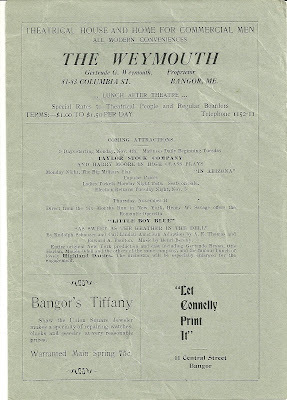 "As Sweet as the Heather in the Dell"
Entire original New York production and cast including Gertrude Bryan, Otis Harlan, Maude Odell and the others of the same company, and the famous bunch of lovely Highland Daisies. 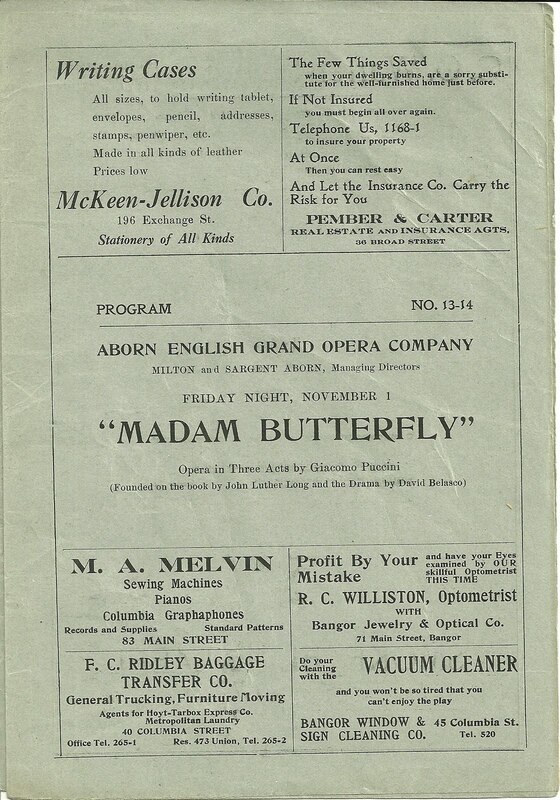 The orchestra will be especially enlarged for the engagement. 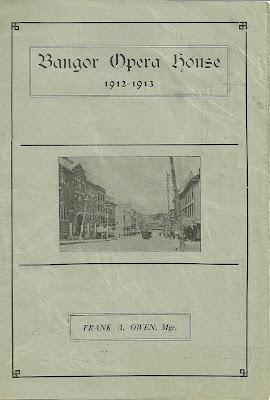 The back cover is blank.